Well, the thing we feared the most finally happened: Facebook decided to change the rules. Users began seeing fewer viral videos and news articles shared by different companies. Instead, people's news feeds started to highlight posts from their friends and family. According to an article in The New York Times, "The changes are intended to maximize the amount of content with 'meaningful interaction' that people consume on Facebook", Mark Zuckerberg, the company's chief executive, said in an interview. Apart from that, the article continues, "The repercussions from Facebook's new News Feed changes will almost certainly be far-reaching. 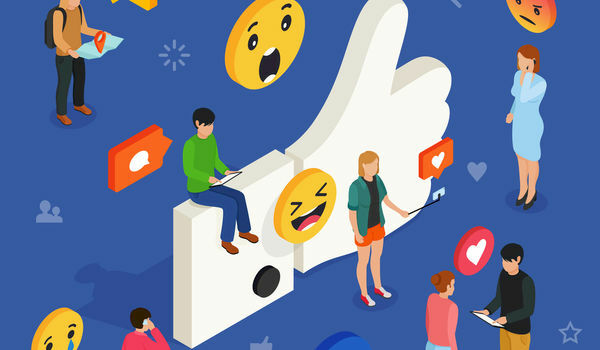 Publishers, nonprofits, small business and many other groups rely on the social network to reach people, so de-emphasizing their posts will most likely hurt them." These changes will obviously affect the event industry. Imagine that you're planning an event for a company or an institution and you want to promote it via Facebook groups. Or maybe, your event has a certain frequency and you’ve already managed to build an audience who follows your brand’s page on Facebook. Most probably, your followers will miss your announcement about the upcoming event, even though you’ve created multiple posts. Since Facebook will feature less of the information that appears on groups and pages, you may want create and strengthen a powerful personal Facebook account. In other words, you could position yourself as an influencer and grow your Facebook audience that way. Obviously, you can’t befriend everyone, but you can activate the Follow option so that people are up to date with your online activity. This will drastically increase your chances to end up in your followers’ news feeds, as opposed to trying to coordinate the activity of a group or page and “hoping” your event information is seen. Meanwhile, you can transform your Facebook account into a promotion platform for your event. Instead of curated brand content, Facebook users want to see information that is more personal. That’s why the online activity of micro-influencers can become a gold mine for you. So who are these micro-influencers? Compared to big influencers (accounts with 10,000 or more followers), micro-influencers are those people with a smaller, but actively engaged audience. They may have between 1,000‒3,000 friends or followers on Facebook, and their posts usually spark lots of comments and reactions (and possibly shares). By working with micro-influencers and motivating them to promote your event to their audiences, you’ll ensure a significantly greater outreach. Set aside some of your event budget for social media advertising. If you can’t get on people’s news feeds as a group or page, you always have the possibility to reach them through advertising. Your Facebook ad must be attractive and well-targeted. That’s why you should know exactly who your attendee personas are, as well as how to deliver a message that will convince them to register for and attend your event. Another trick you can use to get into people’s news feeds (even if you are promoting the event through a group or page) is to create posts that will receive a lot of comments and reactions. Do you think you can lift up people’s spirits with your posts about the upcoming event? If so, then don’t hesitate to make each post as appealing as possible, this way ensuring its visibility on people’s news feeds. Strive for creativity in your posts. Apart from working with micro-influencers, you can transform your guests into advocates of your event. By posting the link to your event along with an attractive comment, your attendees will spread the word among their friends and followers. Of course, you can’t just ask people to promote your event and through an engaging post—you’ll have to come up with interesting ways of persuading and incentivizing them to do so. For example, you could run a contest and name as winners the attendees who gathered most likes and comments under their posts that promote the event. As a reward, you can give them access to the VIP area or let them bring a friend or co-worker to the event. When promotion and marketing depends upon other platforms, always be ready to lose control over the outreach of your content. The changes social media companies are making in their algorithms can negatively affect your online identity and restrict your influence. However, there are always ways to outsmart the system and get your message out there.